Each Carrier Contains:16 Creamy Caramel Bars, 16 Milk Chocolate Almond Bars, 12 Crispy Rice Bars, 8 Milk Chocolate Bars, 8 Dark Chocolate Almond. Each 60-count variety carrier contains: 16 Creamy Caramel Bars, 16 Milk Chocolate Almond Bars, 12 Crispy Rice Bars, 8 Milk Chocolate Bars, 8 Dark Chocolate Almond. 4 carriers per case. 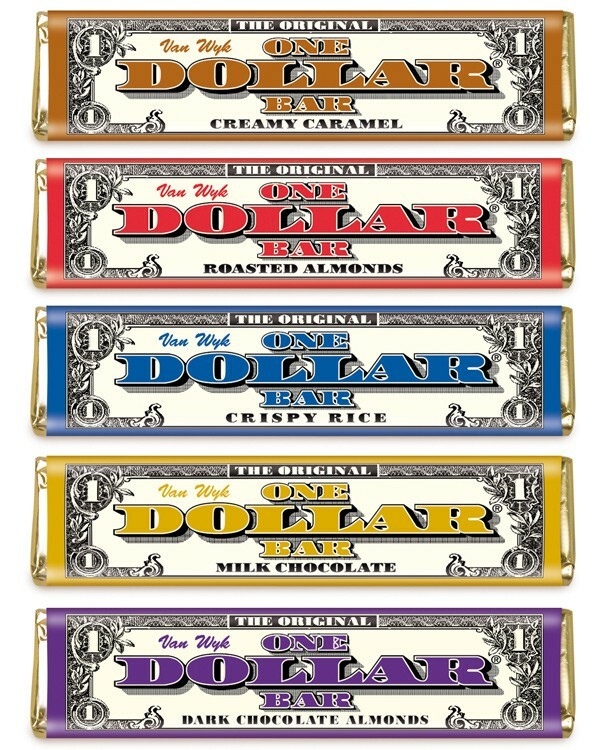 America’s Variety One Dollar Bars are a delicious addition to any fundraising campaign. Their cheap price, numerous flavors, and sweet taste will make them a favorite among your customers! Up to 50% Profit: Your profit varies from 41% profit to 50% profit depending on how many cases of candy bars you order. Minimum Order: You only need to order 1 case of One Dollar Bars to get started. Free & Quick Shipping: Always free, no matter how small or big your order is. Delivered within 1 week. Peanut-Free: Making these candy bars perfect for kids to bring to school and camp. Dry Ice Fee: During the hot summer months, we must ship your chocolate bars with Dry Ice. This guarantees the integrity of our product and prevents bars from melting. Our cost is approximately $18 per case. We share this cost with you by passing on a $9 fee per case for Dry Ice. Reminder - the cost for shipping is free. Enter to win a $25 Retail Gift Card!!! Inside each carrier of Van Wyk Confections chocolate is a postcard with a code on it that enables you to enter to win great prizes from popular national retailers. One winner will be selected at random weekly. You will be emailed immediately if you win. Please check your email regularly. Enjoy your fundraiser and GOOD LUCK! . Your Group Keeps Up To 50% Profit! How Does The $1 America's Variety Pack Fundraiser Work? 1. Determine how many candy bars you feel each of your group members can sell, so you know how many cases to order. Each case contains 4 carriers of 60 candy bars each, for a total of 240 bars per case. The minimum order is 1 case and shipping is free (additional shipping may apply if temperature is above 80F). 2. Place your order online or over the phone. You may pay using a credit card, money-order, or if you’re a public school you can issue a purchase order form. 3. Shipping is quick: We always ship out your product the next day following receipt of your payment. Depending on your location, shipping time is 3-5 business days. 4. Prepare and send a letter to your group members and their parents so they are aware of the objective of your fundraiser, collection dates, and your contact info. 5. Keep track of how many candy bars or carrier cases you have distributed to each of your fundraising participants. Ideally, have the parents pick it up so they become more involved in the fundraiser. 6. Your participants will sell each of these America's Variety Pack candy bars for $1 each, and collect their money on the spot. 7. Keep a tally of all the money you collect from each of your participants throughout your fundraiser. 8. When the fundraiser is complete, be sure to send a Thank You note to all parents and kids who participated. 9. Count the profit made from your fundraiser! Our football team has been selling these candy bars in front of local stores. We always have a group of 8 sellers in front of the store each time. The funds will go towards new shoulder pads and jerseys, it has been a huge help so far. We're raising money for our 4H group and parents have been taking the bars to work to sell. We just ordered our 4th case since they've been selling so fast! 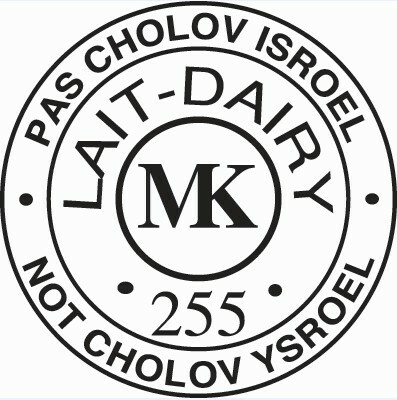 Very delicious product at a great value to us. We bought the one dollar chocolates a week ago and my son is almost done selling case, such a great deal !!! We have sold a total of 25 cases so far, and we just placed an order for another 11! All of the money raised will go towards our youth camp in July. We set-up a table in front of Wal-Mart and have sold about 1000 candy bars within a few hours. We ordered 2 cases and ended up selling everything out in just 2 days! We just placed our second order to keep up with the demand. 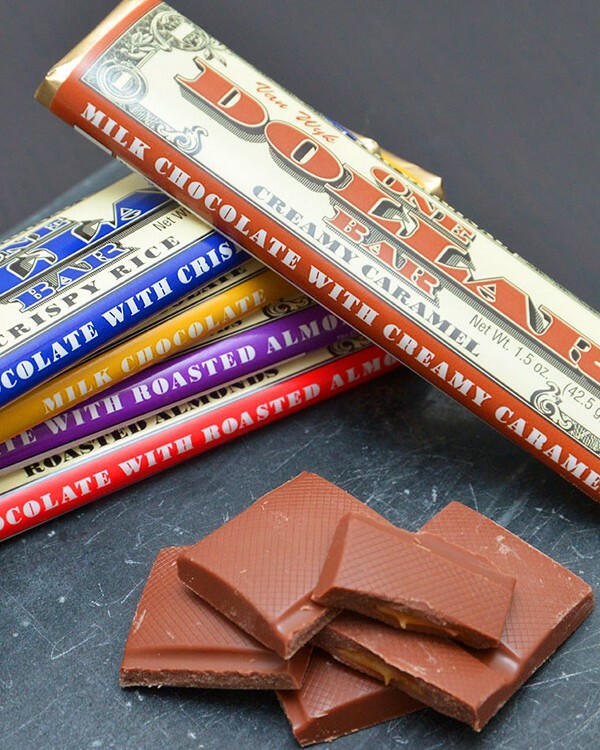 The quality of the chocolate is great, our supporters absolutely love all of the delicious flavors. We have been raising money with the candy bars for our summer youth camp. We have to cover the costs of each child that will be attending the camp, along with all adults and camp staff. We have already sold 25 cases of the candy bars and just placed an order for another 11! The money that we raised will help to buy mulch and flowers to grow around our school's Eagle statue. Our boys were raising money to attend a gymnastics camp with several Olympians. Our experience with the customer service was great, and delivery was fast & easy. We are raising money for equipment for our youth sports group. Our group has sold the candy bars even quicker than we expected. We ordered 5 cases and already need to order more! We are hoping to continue with Justfundraising for many years. Our club has been fundraising with your $1 candy bars for several years and the kids really enjoy selling them! It's a nice, quick way to raise money for club trips and activities. The older kids can do the selling themselves and the parents like having the product in hand so there isn't a delivery trip at a later date. Thanks for making fundraising so easy!" very quick getting my order.